Thursday 21 March 2019, Dubai, United Arab Emirates – Land Rover has been engineering vehicles capable of tackling the toughest terrain around the world for more than 70 years. 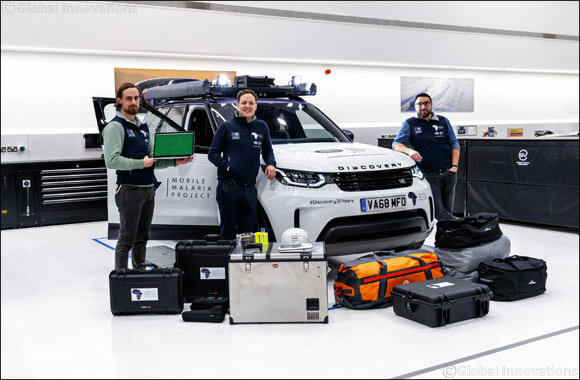 Now it is working with the Mobile Malaria Project, winners of the 2018 Land Rover Bursary in partnership with the Royal Geographical Society (with IBG), as it heads to sub-Saharan Africa to embark on a unique eight-week journey of Discovery. Dr George Busby, Mobile Malaria Project Expedition Leader, said: “We are humbled that Land Rover and the Royal Geographical Society (with IBG) have chosen our project as the 2018 bursary winner. Although global malaria rates have halved over the past 20 years, progress more recently has stalled. By working with colleagues in Namibia, Zambia, Tanzania and Kenya, our journey will help us to understand the challenges facing malaria researchers in Africa in 2019. The Mobile Malaria Project will depart the UK on 22 March to begin its eight-week expedition.